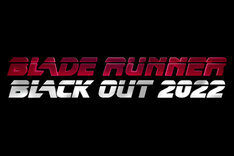 「ブレードランナー」ビジュアル (c)TM & (c) 2008 The Blade Runner Partnership. All rights reserved. 「ブレードランナー ブラックアウト 2022」ビジュアル (c)2017 Alcon Entertainment, LLC., Columbia Pictures Industries, Inc. and Warner Bros. Entertainment Inc. All Rights Reserved.